Roto Hammer Chainwheels are primed in the trademark Roto Hammer blue colour. However, we understand that some customers prefer a custom colour to match their facilities. 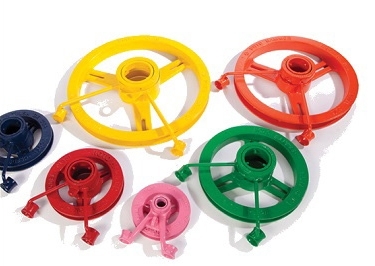 In these situations, we are happy to custom paint any of our chainwheels to match a customer specified colour. Please contact us for information on pricing and lead time for custom painted wheels.